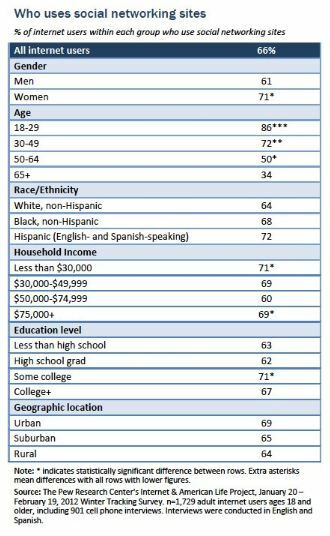 More Adults Using Social Media. What it Means for Businesses. The latest Pew research mirrors trends I gathered in my own research of social media users in the Twin Cities. Women tend to be power users. Not only are they more heavily engaged in social media, women were more likely to “friend” or “like” a business than men would. 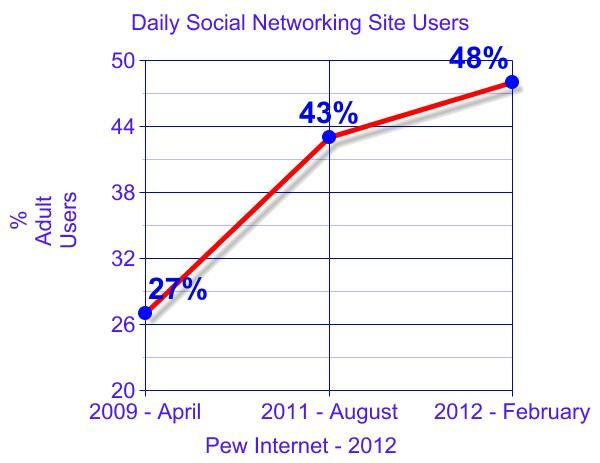 Facebook is the channel of choice with 90% of Twin Cities respondents indicating use the site. Pew’s new national data set from February of 2012 shows us that women are still in driver’s seat with 71% using social networking sites. So what does this mean if you’re a business owner looking to reach out to your customers? Conduct some customer research. Are your customers using social media, and what channels? What do they want from you—product news? Help? If women are your primary customers, you must be on Facebook. Encourage customers to follow you on SNS to get exclusive content or discounts. Respond to customer comments on a DAILY if not IMMEDIATE basis. The last tip is vital. Internet users who are accessing social media for customer service want immediate feedback. I recently spoke with Brittney Madsen the online manager at The Wedding Shoppe in St. Paul who said that her customers are increasing turning to the store’s Facebook page to ask questions about designers, price, and inventory. Madsen said that if she doesn’t respond within minutes, the customers will go to a competitor looking for answers. In this store’s experience, social media has become just as important of a business tool as a phone. The Wedding Shoppe’s experience along with Pew’s latest research shows adults are embracing social media. While it is still a place for personal connections, by making your engagements personal to your customer, you can be a part of their lives.